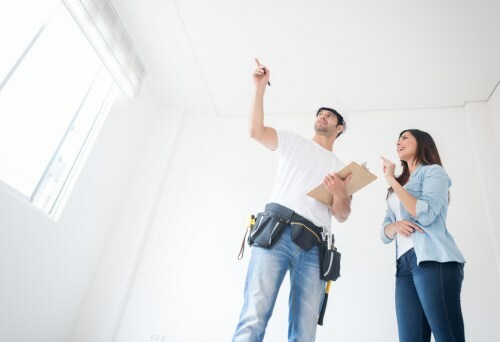 If presented with a $50k budget, 50% of Canadians would renovate their existing home, while 30% would choose to relocate, a recent survey by real estate website RateSupermarket.ca has found. Among those who would choose to renovate, 78% said that they like their current home or neighbourhood, 40% said that renovating will increase the value of their home, 32% reported that moving is “too much hassle,” while 28% stated that they don’t think they can find a house within their budget. "Given the current real estate market and tightening mortgage rules, renovating your existing home makes a lot of financial sense for many Canadians," said Janine White, vice president of marketplace and strategy at RateSupermarket.ca. "Our survey shows that Canadians understand and appreciate the value of their real estate investment." The survey also found that more rural (59%) and suburban homeowners (54%) would prefer to renovate than their urban counterparts (44%). Although the majority of respondents in every age group said that they would rather renovate, the survey revealed a split between younger and older respondents. Among those aged between 18 and 34, 43% said that they would move, while only 15% of those aged above 65 would leave their current home. Meanwhile, less than 20% of those aged 55 and above said that they would buy a new home, while 43% of millennials feel the same way. "The desire to stay put by older Canadians may stem from them being more established in their current homes," White said. "Those in their 20s or 30s are looking to acquire some equity and build their financial portfolio, which translates to their greater willingness to move. Additionally, the added transfer tax, moving costs and general hassle of moving houses might deter some Canadians."